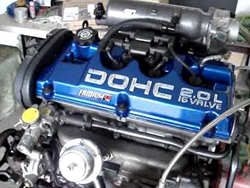 2JZ Toyota engines have been acquired for the preowned inventory now available in the web shop at the JDM Pros company website at http://jdmpros.com/2jz-engine-toyota-used. The inline 6-cylinder motor blocks produced by Toyota from the 1991 to 2002 year will now be part of the inventory in stock at the JDM Pros company website. Consumers will now be able to research or place orders for preowned 2JZ Toyota engines online. Information about these newly acquired blocks can be reviewed at http://jdmpros.com/2jz-engine-toyota-used. The stock available of the 2JZ-GTE motors are a direct fit for the Toyota Supra turbo and RZ models. Import car owners, restoration companies or tuners of vehicles are the target market for this used condition Japanese produced inventory. The VVT-i and earlier models are available in the JDM Pros parts warehouse. "We are nearly finished with building our Japanese motor block inventory for many top brands, and sale pricing is part of our new initiative," said a source at the JDMPros.com company. The acquisition of the 3.0L I6 models also includes a re-worked warranty plan for customers. The DOHC blocks now receive nearly 100 percent of components protection for installed components. The minimum time frame for each policy is 90 days although consumers have the option of expending the coverage for a nominal charge. "The Toyota blocks in our revised inventory include the superchargers that were originally available as OE installations," the source included. The JDM Pros company is planning an overhaul of its Honda motor blocks inventory early next year. Information concerning what builds will be available will be posted on the company website. The expansion is expected to include the Acura brand as well as other subsidiary nameplates manufactured by the Honda company. The JDMPros.com company helps consumers to find imported Japanese motors for top brands in used condition. The company specializes in Honda, Toyota, Suzuki, Mitsubishi, DSM, Acura and other brands. The JDMPros.com company has a price quotes program available on its website to showcase all in stock pricing for motor blocks.